Ohio Wesleyan University has handed the baton to Mary Kate McNally. 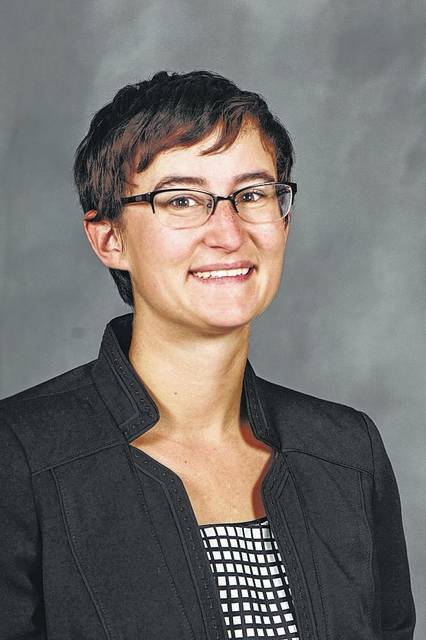 McNally, who earned her master’s degree in music conducting in May from Kent State University, will join Ohio Wesleyan on Aug. 14, serving as OWU’s new director of marching and spirit bands. In this role, McNally will work to build a program that features band performances at Battling Bishop athletic events, spirit activities, and other public happenings on and off campus. She will be responsible for recruiting, selecting, and training band members; planning their performances; budgeting for program operations; and assessing the band’s activities and success. McNally will report to Dwayne K. Todd, Ohio Wesleyan’s vice president for student engagement and success. While at Kent State, McNally served as a band graduate assistant, which included working with the Golden Flashes marching band. She also worked closely with the university’s director of athletic bands to coordinate leadership training for the undergraduate staff; as a drill technician to teach marching fundamentals, address execution concerns, and collaborate with the color guard to choreograph visuals and full-band dance blocks. As an undergraduate at Henderson State University in Arkansas, McNally served as a section leader for the Showband of Arkansas for two seasons and as a featured trumpet soloist for four seasons. Professionally, McNally is a member of the College Band Directors National Association; National Association for Music Education; Ohio Music Educators Association; and National Band Association. After a building year in 2017-2018, Ohio Wesleyan’s new marching band will debut in fall 2018. The band will be a co-curricular club open to all students. For prospective students also interested in majoring in music, Ohio Wesleyan offers a bachelor of arts degree in music as well as bachelor of music degrees in composition, education, and performance. Learn more at www.owu.edu/music.